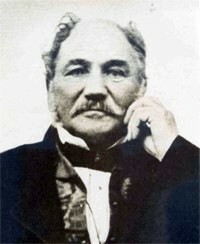 Geddes was born on 5 April 1783 in Edinburg. He was born to David Geddes. His father held the post of deputy auditor in excise office. He was a Scottish portrait painter. He did portrait and he also was a printmaker. Geddes received classical education at Royal HighSchool. He later went to the University of Edinburg. After his education, he worked in the excise office for five years. His father opposed his desire to become an artist, though at an early age he showed liking towards fine art. However, after his father’s death, he went to London. There he entered The RoyalAcademy School in 1807. When he entered Royal School Haydon, Jackson and Wilkie were also students there. He studied there for a few years. Geddes returned to Edinburg in 1810. He practiced there. He set up his own portrait studio. In 1814 he went back to London for his artistic pursuits. He continued to spend few months annually in London. Around this time he made portraits of noted personalities like Sir David Wilikie, Henry Mackenzie who was the author of ‘TheMan of Feelings’, Dr. Chalmers to name a few. The praise for these portraits made him put his name as a candidate for the honors of Royal Academy. However he was unsuccessful and was not awarded the Associateship. He was awarded this only in 1832. 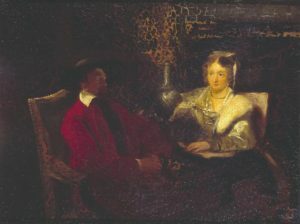 ‘The Discovery of Regalia in Scotland’ was painted by him in 1818. In this painting, he introduced the portraits of several distinguished men of his native city. Sir Walter Scott was among them. He visited the continent in 1828. He spent time in Italy, Germany, and France. In 1831, after he returned he painted an altarpiece for the church of Saint James Garlickhythe and a picture of ‘Christ and the Woman of Samaria’. His major works at National Gallery of Scotland, Edinburg are – ‘Summer’, portrait of his mother, his own portrait and a portrait of Hagar. His work at Scottish National Portrait Gallery is portrait of Sir Walter Scott. At Tate Gallery there is Portrait of Terry and his wife. This was presented by Robert Vernon in 1847. However, it is not on display. In Victoria and Albert Museum Geddes work ‘A man smoking’ is preserved. This was given by John Sheepshanks in 1857. His portrait of Wilkie was well known. They were on intimate terms. 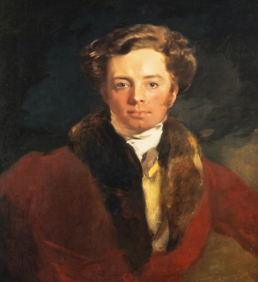 This portrait was at the Royal Academy in 1816. Geddes developed a fine sense of texture and colour. He excelled at fancy pictures. His portraits of sitters dressed in exotic costume. He visited Holland in 1839. These European travels enriched his art. 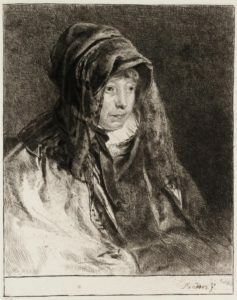 In Holland he admired Rembrandt’s etched work. He was also a prominent collector of Old Master drawings, paintings, and prints. He was a very able executant- a person who puts something to effect and a good colourist. He was a close student of character. His major success was as a portrait painter. However, he occasionally did figure subjects and landscapes. He was a good etcher (etching on metals). He died in 1844 of consumption, pulmonary tuberculosis.